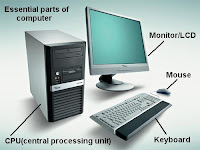 Your goal: Use technology and work with everyone in your group and create the basic parts of a computer (monitor, CPU, mouse or touchpad, & keyboard). Additional computer parts are optional. 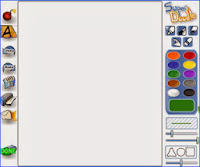 Your tools for the task: Kerpoof's Super Doodle, KidPix, black and white printer, color printer, crayons, pencils, tape, glue sticks, & scissors. Your grade: Grade your team on the four point scale when your project is done.